LT 0-6-0PT No. 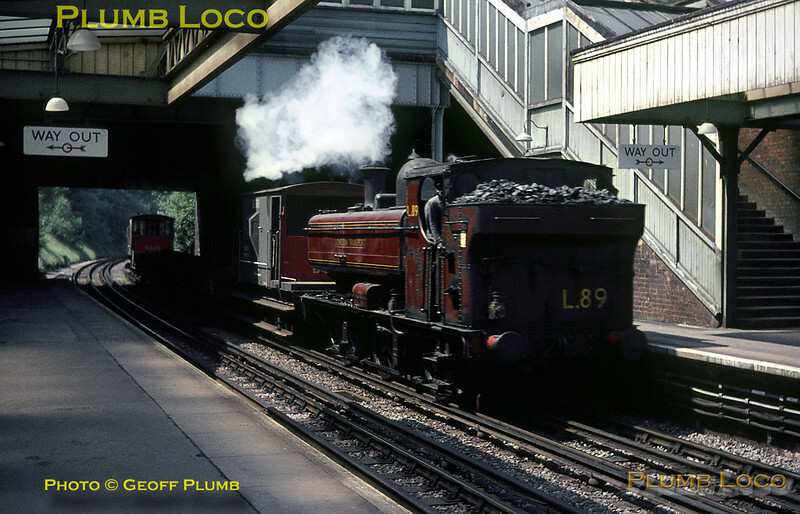 L89 works bunkerfirst through Croxley station en route for Watford. There it ran round its train and took water before returning through Croxley to the tip just by Watford South Junction. This was a regular working during the demolition of the old power station at Neasden. June 1967. Slide No. 2807.